Jeffrey P. Chernick of Stanfordville, N.Y., pled guilty today on the charge of filing a false tax return in Fort Lauderdale, Florida Federal Court. 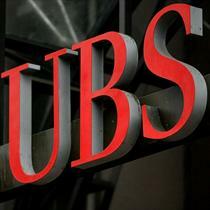 This is the result of an ongoing attempt by the United States Government’s efforts to force the United Bank of Switzerland (UBS) to divulge the names of thousands of wealthy American’s who may have large amounts of money in UBS accounts. Arrests for South Florida UBS white collar crimes have already occurred and it seems likely that other arrest are sure to follow. Richard Ansara is a Fort Lauderdale White Collar Crimes Criminal Defense Attorney. He is the head attorney of the Ansara Law Firm located in Fort Lauderdale, Florida. The Ansara Law Firm handles Felony and Misdemeanor cases in Broward, Dade, and Palm Beach County. If you have any questions and would like to speak with Criminal Defense Attorney Richard Ansara about your case please call (954) 761-4011.